This track may be a few months old, but it’s definitely still worth a few minutes of your day. 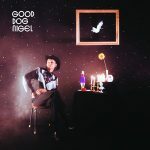 Good Dog Nigel, or Parker Emeigh, is an indie rocker from Lynchburg, Virginia who recently released TheImplied SunriseEP back in January. 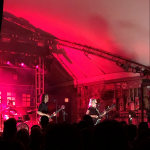 From it, I’m pleased to share “I Can’t Be,” which is a bouncy number, fueled by guitars that alternate between jangly and fuzzy. What I’m so fond of about this number is that dichotomy between slacker pop and tight knit rock during the choruses. Check it out below and then head over to Good Dog Nigel’s Bandcamp for the rest of the EP. Mr. 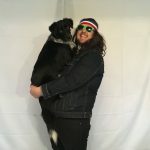 Husband, out of Baltimore, is the project of Kenny Tompkins, who comes cut from the same cloth as other prolific pop weirdos such as Ariel Pink and R. Stevie Moore. Since his debut release Plaid on Plaid on Yellow K Records, back in 2016, he’s moved his way through various genres, but always centered around the intimacy of bedroom pop. This new track, “Friends,” which ATH is proud to premiere today, is no exception to the great songwriting of Mr. Husband. Springy guitar riffs jangle in the mix before Tompkins’ vocals join in, which are soon complimented by Beach Boys-esque “oohs” that finish off the blend of instrumentation in a golden light. Despite the sunny sound, as you’ll hear in the song, our narrator is coming to terms with cutting out an unwanted presence in their life, and talks about lending out a favorite record only to know he’ll never get it back. Regardless of the poor decisions of the song’s narrator, “Friends,” is a lo-fi pop gem with a catchy chorus and quaint elements that will delight any listener. 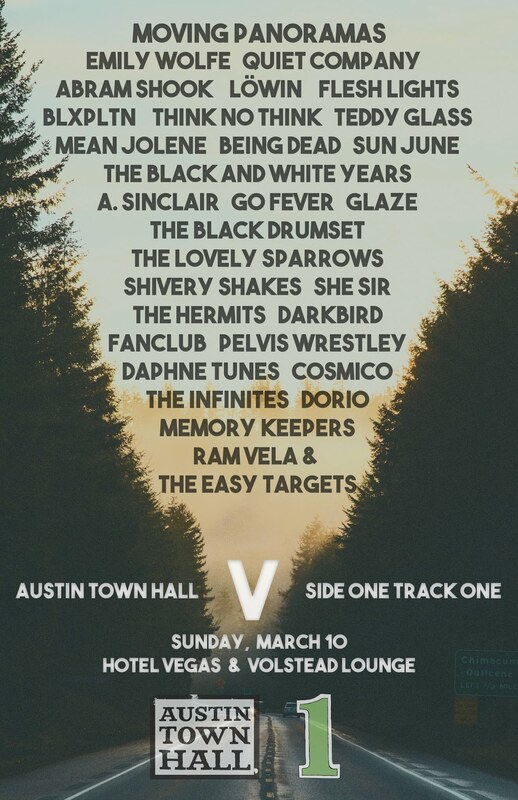 “Friends” is taken from Mr. Husband’s upcoming release, …& The Husky Section, which will be released on May 3rd via Yellow K Records and Good Soil Records, both digitally and as a limited run of cassettes. Preorder it here. 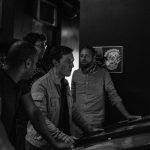 Favours are four piece synth rock outfit who hail from Toronto, who share the same sort of sonic aesthetic of the likes of The Vaccines with the darker element of Joy Division. Today, they’ve dropped a new track, “Afterwards,” which hits all the sweet spots. There’s layers of twee synth, the lead vocals have a bit of a Morrissey swagger to them, the cutting guitar riffs duel for your attention with the funky synth sounds and you even get some contrasting backup vocals to round everything out quite nicely. Take a listen below and fall in love. LA based artist, Dorvin Borman makes dreamy lo-fi bedroom pop tracks that give you something to sing along to without falling into the same malaise of straightforward pop music. Perhaps it’s the slightly cynical lyrics or the crunchy percussion, but this track has won me into repeated listens. The guitars are impossibly twangy, meandering their way around the simple, yet steady percussion. Borman’s vocals are distorted to match the guitar parts, and you can relate to the striking chorus: “I punch the clock till the timing is right // but I’ll never learn how to smash this design.” It’s a great track, and I’ll be on the lookout for more from Dorvin Borman. 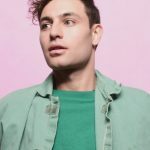 YOKE LORE is the moniker for New York based indie pop artist Adrian Galvin, who is on his way to releasing hisAbsolutesEP. This track, “Chin Up,” offers you a pick me up if you’re feeling down, or just a pleasant refrain to keep you going. Galvin’s vocals greet you right off the bat, with their distinct crispness ringing out with great clarity. Underneath, you get building drums and the softest strumming of acoustic guitar. In the chorus, there’s hand-clap-esque percussion that pushes the track forward and gives you something to toe tap to. It’s a lovely indie pop number with an uplifting vibe that is perfect for a spring day. 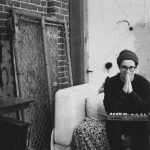 Bloomington Indiana’s Steve Marino has been a part of several different bands over the years, but this is the first time he has shared tunes on his own. 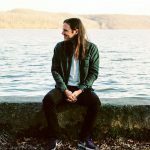 “Fluff” is the title track of his upcoming debut solo record, and it’s a lovely slice of mellow indie rock. For fans of Real Estate, the vocals are gentle and contemplative, balanced by the delicate strumming of the acoustic guitar. The whole soundscape is very lush, but the lyrics are actually fairly devastating, ending on the question, “Is your love now gone?” It’s a gorgeous track, well balanced and even gets a little gritty when the electric guitar kicks in in the end.Plus, the video features a pup, and really, what else could you ask for? Fluffwill be out on May 24th on Darling Recordings: pre-order it here. If you’re like me, you can’t get enough of angular guitar riffs, hazy vocals and driving drum beats. Such is what you’ll find on the latest tune, “Atlantic,” from Coral Collapse. You get a bit of a Beach Fossils vibe with this one, though is meanders more to the alt-rock genre than you’d expect. Coral Collapse are from Buffalo, NY, and have a new album called Don’t Wait To See Me Say Goodbyethat’s coming out on April 26 on Admirable Traits Records. “Atlantic” is a shimmering slice of dreamy indie rock that implores you to listen to more from the group. Have at it. This track may have come out a little ways back, but it’s too infectious not to share. 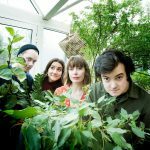 Wasuremono are an outfit out of Bradford on Avon, and they’re going to release an LP with the same title as this track on June 14 on The Wilderness Records. The name of the band, from Japanese, roughly translates to “something forgotten or left behind,” which is perfect, as while “Are You OK?” is a bright and sunny tune, there’s a lament of wistfulness that lingers though the song. 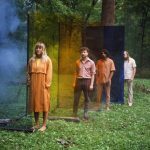 From the start, the percussion is incredibly upbeat, joined shortly by twee synth and then the sheer vocals waft in with some “Ohhs,” and you’re hooked before the lyrics even start. Everything about this track feels like golden hour, just as the sun is setting; the lyrics put you at the sunny seaside, but that chorus asks you the same question, over and over, hinting that darkness is coming quick. An utterly gorgeous dream pop hit, “Are You OK?” is a track that will move you, not only with toe tapping, but also on an emotional level.